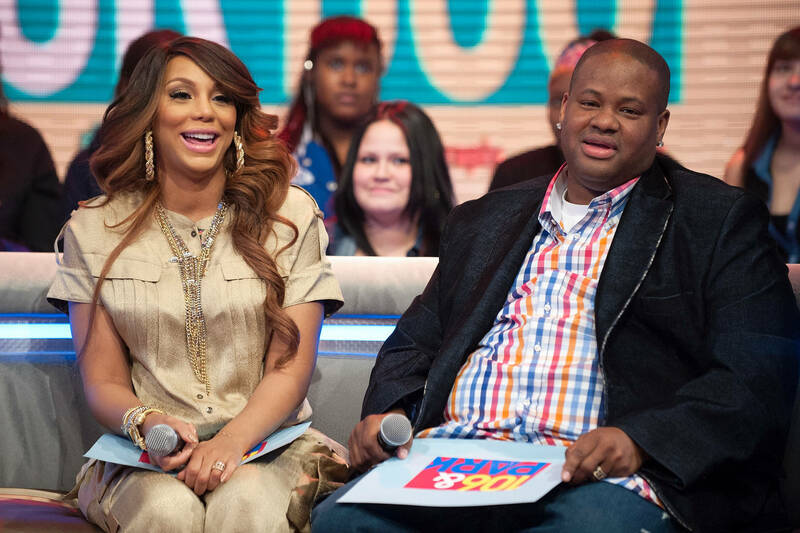 Tamar Braxton and Vince Herbert are still sorting out the details behind their divorce and according to Tamar, they're on good terms in the meantime. "Vince has been under the weather so I’ve been holding down the fort,” she previously stated. “But we’re not enemies...We co-parent really really well." While their separation is going well, things on Vince's personal financial front don't seem to be so hot since The Blast reports that he owes a whopping $4 million back in taxes. The publication details how a tax lien was put on Vince for or unpaid taxes for 2013, 2014 and 2015. Apparently, he hasn't paid any of the owing amounts and he's being told to act on it quickly. The breakdown is "$2,799,906.26 (2013), $759,758.19 (2014) and $466,069 (2015) for a grand total of $4,025,733.45." If money isn't handed over soon, Vince's assets will be seized from the IRS. Tamar is not listed on the lien, making the outstanding debt solely Vince's.